Though spring officially arrived last week, winter continues to linger. It's not too late to share a broccoli cheddar soup recipe, I hope. 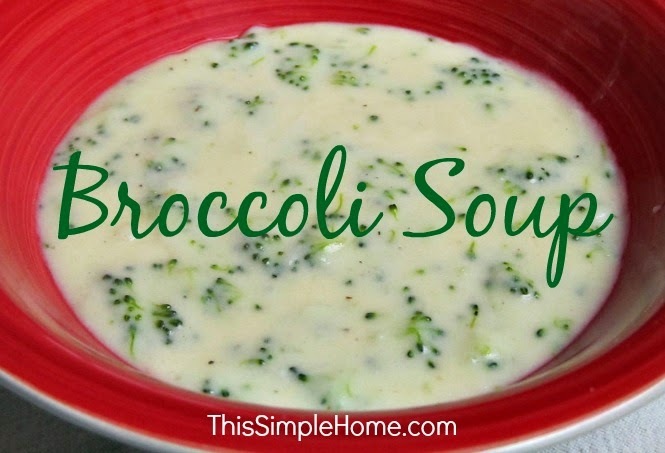 Broccoli soup is delicious year round. Recently I had some leftover fresh broccoli. I decided it was time for me to finally cook my mother-in-law's broccoli soup since my husband and I always enjoy it when she makes it. She tells me it was originally from RecipeSource.com. This broccoli cheddar soup easily doubles or triples for a larger crowd. 1. In a saucepan saute the onion in butter over medium heat. 2. When onions are tender, stir in flour, salt, and pepper. Stir until smooth and bubbling. 3. Mix in the broth and milk. 4. Constantly stir. The mixture will boil and thicken. 5. When mixture is thick, add broccoli. 6. Lower heat. Simmer and stir constantly until heated through. 7. Remove from heat. Blend in cheese until melted. The nature of this recipe allows for flexibility. If you are comfortable guessing at the measurements of the cheese and broccoli, then skip the measuring cups. I do not like large pieces of onion, so I used my mini food chopper. I met my goal of practically pureeing the onions. Finally, please take note of the size of the chopped broccoli. 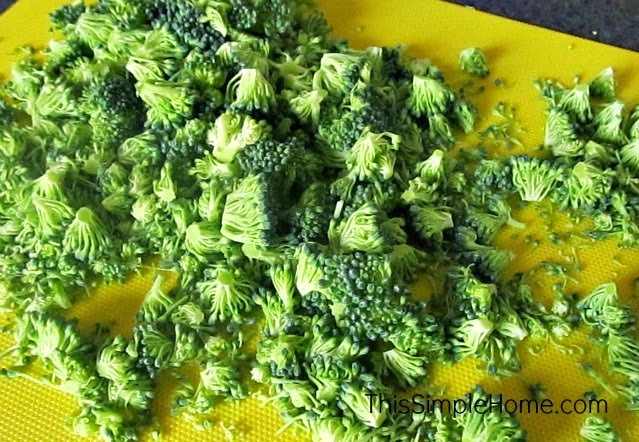 I do not like to waste food, but broccoli stems are one exception. It's worth it to me so I can appreciate the broccoli cheddar soup. What's your favorite soup? Do you enjoy soup year round or only in the fall and winter? This looks good, I've never had it homemade.